So it seems that Dlive decided to leave Steem and opt-in for their own/partner block-chain. While I understand the disappointment and frustration of many Steemians, I truly believe that everybody should have the freedom and choice to select their future technology themselves. And I believe that Steem has more than enough amazing projects, so many, that it's okay for Dlive to go. A livestreaming website, currently in its alpha. I'm sure many more posts will come about it, as they are barely getting their foot on the door, but my intention behind this short post is to basically ask for the community to spring into action. We seem to always expect Steemit Inc to take the lead, and understandably so. But, this should not mean that we can't or should not take a stand for what we believe in. As a stakeholder, as a developer and as a witness, I feel an ethical obligation to do my part. To take this situation and turn it on it's head. Because as much as we might be bummed out, this is not the time to slow down, quite the opposite. Maybe Steemit Inc will jump onboard, and that would be fine. But, the point I'm trying to make is that my decision today is not dependant on them. I've decided to delegate 5000 Steempower to this upcoming platform. And I don't expect any ROI out of this, I simply want to do my part - as it was always my goal; to influence and support projects on this amazing blockchain. And maybe other stakeholders might consider doing the same, so we can fill a niche that is ripe for the taking: streaming. Please take this delegation as a token of trust. I hope to see great things coming out of your team and your project. And if your team has any questions regarding Steem I can help with, then please let me know! No reason to cry over spilled milk as they say, this is not the time for anyone to consider slowing down, its a time to build! 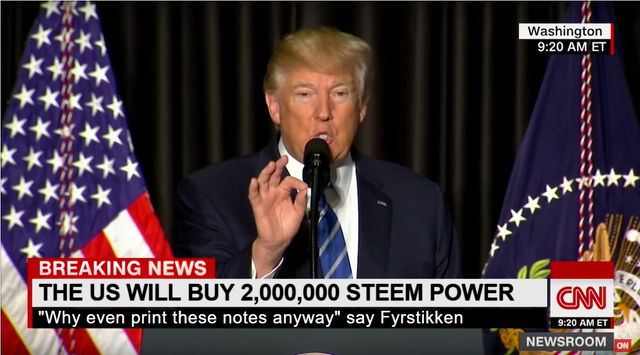 Let's keep the Steem dream alive! If you believe that I'm of value for Steem, then please vote for me as witness. You can also set me as a proxy and I'll vote on great witnesses for you. This is why I support smartsteem. Coz developers like @therealwolf is looking out for the interest of the dapps and communities of the STEEM blockchain. As a frequent user of DLive, it was already going south and we all just had to swallow the pill that they were looking out for their own interest all this while. It doesn't come as a huge surprise as at every update, they were doing less and less for the community and focusing on building their team and goals which in the end led to this. As a streamer, really appreciate you stepping in to delegate such a sum of SP to Vimmtv. We're all grateful you've done this and already have done so much for so many communities. Thank you for the great comment, daniel! Anytime anytime. Have a good weekend ahead! By this you truely earned my witnessvote. I'm very glad to help! Are you planning on doing video uploads as well? The thing I liked about DLive over D.Tube was the fact that you could upload videos without having them getting deleted in a month like on d.tube. Would be great if you could pull off something similar. The reason for this is because DLive just stored all their videos on their own servers, while DTube uses IPFS (which most considers to be more decentralized). So there's both benefits and drawbacks to either options. Yeah, I get the reason. As an end user I don't really care about videos being decentralized though if they get deleted after a short while. I hope d.tube finds some kind of solution to the problem down the line, but for now I prefer good old fashioned server storage. can you point out what differentiates your app from Dtube ? I threw 25 in myself mini delegation, that said I see value in this ecosystem as well glad I wasn't alone. No offense, but I strongly feel that less upvote bots engagement will make the community far healthier in the long run. What would happen if more Steemians removed their delegations from these automated profit machines built to cut corners and skim from the rewards pool? What if these allocations were simply realigned to either their own SP for personal engagement, or delegation to other strong projects as you've done here? It's fairly clear to see how the latter would be significantly more beneficial for Everyone. Yep, it's probably impossible for them to recover from all this bad PR at this point. I mean, who would trust them with their investment at this point? But they already got their $20M investment, so they are probably fine either way. So much has changed since last time I was here. huge support man. i just joined it tonight and am testing their services. if they did this with what they have been working with, big delegation will only sky rocket vimm. looking forward to this new service. @therealwolf, Really unfortunate to hear about this, but as you said everyone has the freedom of choice, so we should send off with good vibes and we should wish good luck to Dlive. And i am daily Dtuber and Dliver, and now it's really unfortunate that Dlive is leaving, but for sure i will going to try out vimmtv because in my opinion every Dapps of Steem Economy should grow. And yes, no matter how rough and tough is the phase, we should continue our journey and for sure we will going to attain the success because if we think then we can. You know what dude, you're absolutely right. Very good mindset to be in @therealwolf. I appreciate that. I'll definitely be checking out VIMM.TV! Good bye dlive, its a wrong way, maybe. 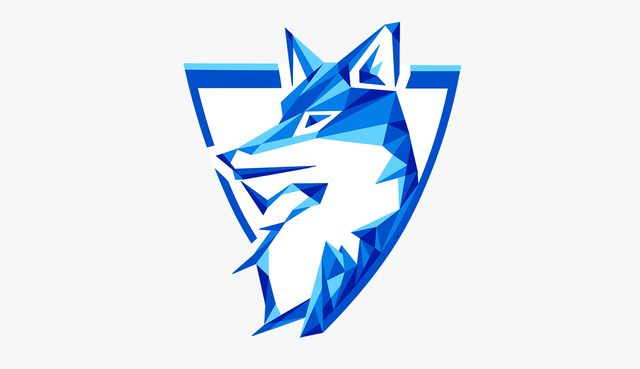 Awesome to see you supporting projects on the Steem blockchain @therealwolf! And this is truly how a real witness composes themselves. Ultra respect to you . . . Thanks a lot man! We really appreciate it! I am a curator for @vimm and we're doing WHACK Curation SHOW a bit early this week! I will be LIVE 21.09. at 17:00 h UTC +2. Feel free to hop in if you have time to show some support and welcome to new streamers on @vimm! Galant Gesture. keep on giving Sir. Giving without any expectations, is it come to the point that people don't understand this basic principle? I've heard all kinds of disgruntled viewpoints and if it wasn't a marriage or a contract, then they surely did it because they're ready to scam the next fools with all that stolen delegation. Common people, Dlive didn't make any vows and they surely don't have to stick around in a situation which they aren't happy with either. Sad news indeed but we move forward. I can see you put a lot of time into this post. It payed off. "We seem to always expect Steemit Inc to take the lead, and understandably so. But, this should not mean that we can't or should not take a stand for what we believe in"
I hope this changes over time. While there is some centralization of the Blockchain due to the nature of what it's designed to do. We as users don't have to practice that. We can do so much more if we just go ahead rather than wait or complain to a privately-owned company. I never tried livestreaming, maybe i'll start with Vimm. I dont understand the implications of this but In times if trials, we just need to hold on to our vision. Sooner or later we shall get to the end of the tunnel. so they do have some major stake in the new blockchain they used our supposed dyfunctional platform to advertise. well, we have options still, thank God. Hey!! GREAT ATTITUDE!! Everyone has free choice to do what is best for them and their business. Onward and upward! Thanks for supporting this community! I will definitely check out this new platform. It is always amazing to see new projects and new platforms grow in our community. Specially when something like this happen we need to stick together. Now I found a great alternative to the scammy centralised dlive. Will try out the Vimm for sure. Frontend look neat and clean, definitely a great start for the team. This is a great gesture and shows how the community can help each other improve its ecosystem over time and adjust to changes. However, I do think that Steemit and team have to address the dlive situation and put governance in place to avoid conflicts of interest within their own team or improve transparency; not to mention ensure that their SP delegation is being out to the best use of the community. This is how I like and love the steemit community. If you @ therealwolf invest there, I will check the site for doing some content with them.